Whether you’ve graduated high school, college, or are starting your career in a new city, making friends can prove itself a worthy challenge. When I moved four hours away from home for university, I had to make all new friends, as I didn’t know anyone else also attending my school. After conducting some research and reflecting on my own personal experience, I’ve come up with four easy ways you can make friends in a new city. Don’t be afraid to introduce yourself to your new classmates, coworkers, neighbors, etc. If you’re at a coffee shop and see a guy or girl with a great read, don’t shy away from sparking up a conversation. And when the talk flows well, tell them you’ve just moved here from outside the city or state and are trying to meet new people. Go ahead and ask for their phone number too! At my freshman year orientation, I said hello to the first girl I sat next to, and two years later she’s still one of my best friends. If you’re single, date as much as you can. Even if you don’t find someone worth building a relationship with, that doesn’t mean you can’t potentially make friends or useful business/academic acquaintances from their social circles. Whatever the outcome, it’s a win-win. Whether it’s a volunteer project you support or a sports club, joining an organization opens the door for all sorts of potential friends and connections. I made many of my friends through a running club at college; together we ran 5K races, and I even got sponsored to run many of them. Volunteer work, sports, and academic societies are an easy way to quickly meet people who share your interests and goals. By volunteering, you have the chance to make a difference in your community, feel good about yourself, and potentially make new friends who care about similar causes. Sports? Great way to find some work-out buddies and stay active and healthy! And academic societies are of course great resume builders for post-graduation and allow you to build a list of professional contacts. 3. Connect on social media. When you meet someone new, friend her on Facebook, follow her on Instagram and Twitter; go the whole nine yards! Message her and thank her for having a great time and tell her how excited you are to hang out again. You shouldn’t worry about coming on too strongly, because chances are, she was in your position and would have been grateful for someone reaching out that way. One of my biggest regrets when I first moved to the city was not finding cool, new people I met on social media. You later realize that you may have missed out on a new friendship. 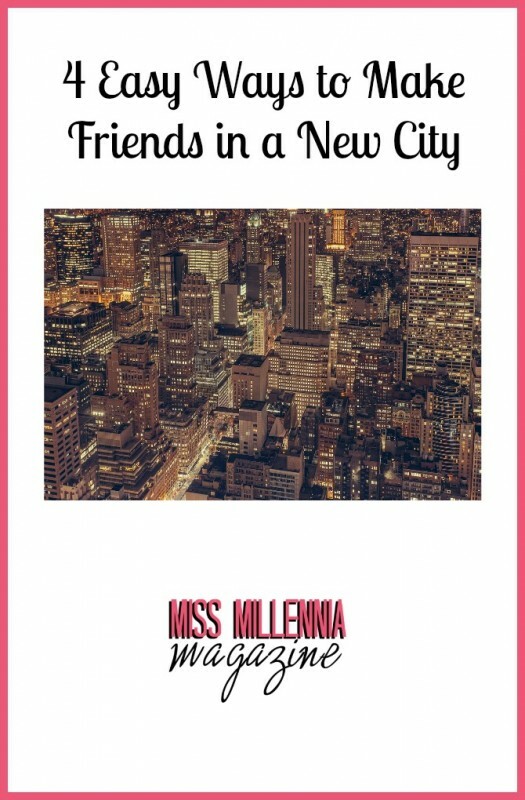 This is one I really loved from 15 Ways to Make Friends in a New City that really stuck out to me. Every time a new friend asks you to do something, always say yes. Give people a chance to take you out and show you a new restaurant that opened up or the best spots on the beach. What do you have to lose? 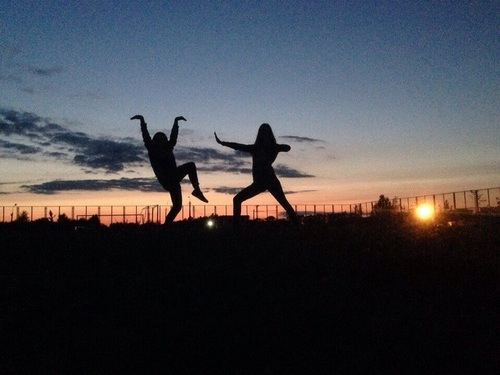 Will you sometimes strike out with friendships? Yes. But you’ll never know until you give them that chance. My freshman year, there was a girl who gave me her number and asked me to hang out, but I never got back to her. I’ve always regretted missing out on a potentially wonderful friendship. Though these tips are simple, they’re also effective. The smallest gestures and acts of kindness go a long way, and just remember that even though being bold can be intimidating, it can be very rewarding too!